7 Awesome Stats from NFL Week 15 - Fantasy Football, Fantasy Football Rankings | Mac Bros.
Week 15 of the NFL season has nearly come and gone. Let's look back at 7 feats of statistical awesomeness. 1. New Orleans QB DREW BREES completed 32 of 40 passes (80 percent) for 412 yards with five touchdowns and no interceptions in the Saints’ 42-20 win at Minnesota. Brees is the first quarterback in NFL history to complete 80+ percent of his passes and throw for at least 400 yards and five touchdowns with no interceptions in a game. 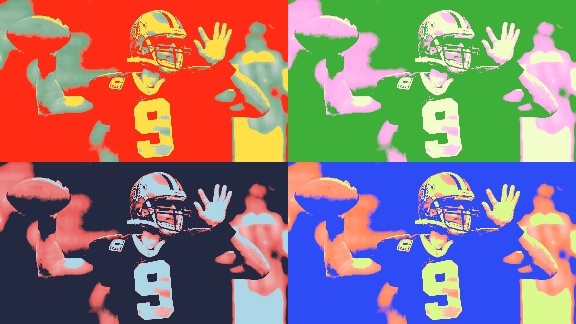 Brees has 11 300-yard passing games in 2011, the most in a single season all-time. He entered today tied for the most 300-yard passing games in a season (RICH GANNON, 2002 and Brees, 2008). For the season, Brees has 4,780 passing yards and joins PEYTON MANNING as the only quarterbacks in NFL history to pass for at least 4,500 yards in three different seasons. 2. Today marked the third time in NFL history in which a team without a loss (Green Bay) was defeated and a team without a win (Indianapolis) was victorious on the same day at least 11 games into a season. The previous two instances occurred in 1953 (December 13,1953: Cleveland, 11-0 and Chicago Cardinals, 0-10-1) and 1984 (November 18, 1984: Miami, 11-0 and Buffalo, 0-11). 3. There are four quarterbacks with at least 4,350 passing yards this season: New Orleans’ DREW BREES (4,780), New England’s TOM BRADY (4,593), the New York Giants’ ELI MANNING (4,362) and Green Bay’s AARON RODGERS (4,360). Before this season, there was a total of two quarterbacks in NFL history to pass for at least 4,350 yards through the first 14 games (RICH GANNON, 4,409 in 2002 and Pro Football Hall of Famer WARREN MOON, 4,401 in 1990). 4. New Orleans’ DREW BREES (412), Detroit’s MATTHEW STAFFORD (391) Oakland’s CARSON PALMER (367), New England’s TOM BRADY (320), Buffalo’s RYAN FITZPATRICK (316) and Arizona’s JOHN SKELTON (313) passed for 300 yards today. There have been 105 individual 300-yard passing performances in 2011, the most in a single season in NFL history. Brees’ 412 passing yards marked the 15th individual 400-yard game in 2011, the most in a single season in NFL history. 5. Green Bay quarterback AARON RODGERS threw his 40th touchdown pass of the season in today’s game at Kansas City. Rodgers is the first Packer and fifth player in NFL history to pass for at least 40 touchdowns in a single season. He joins TOM BRADY (50 in 2007), PEYTON MANNING (49 in 2004), Pro Football Hall of Famer DAN MARINO (48 in 1984, 44 in 1986) and KURT WARNER (41 in 1999). 6. New England quarterback TOM BRADY threw two TD passes in the Patriots’ 41-23 win over Denver. Brady has 35 passing touchdowns in 2011 and joins BRETT FAVRE (1995-97) as the only quarterbacks in NFL history to pass for at least 35 TDs in three different seasons. Brady had an NFL-record 50 touchdown passes in 2007 and 36 TDs in 2010. 7. Rookie quarterbacks CAM NEWTON of Carolina and ANDY DALTON of Cincinnati led their teams to victory today. This season, rookie starting quarterbacks have combined for 19 wins, surpassing 2004 (18) for the second-most in a season since 1970 (22 in 2008). Dalton passed for 179 yards in the Bengals’ 20-13 win at St. Louis and topped 3,000 yards for the season (3,012), the fifth rookie in NFL history to do so. Newton had 149 passing yards and his total of 3,722 yards is the second-most by a rookie in NFL history (PEYTON MANNING, 3,739 in 1998). This is the first season in NFL history with two 3,000-yard rookie passers.